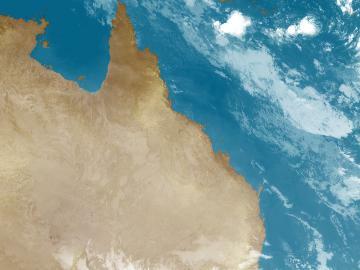 Cloud scattering along the QLD coast and nearby ranges in moist onshore winds is causing showers, mainly in the tropics. Cloud over the west of the state in a weak trough is causing virtually no rain. Skies are mostly clear in the far southwest in drier winds.